RTS Portfolio long positions were closed on (Fri 6/20). RTS Portfolio is in cash now. (A) Higher (80%): SPX starts a rally on Monday and continues its summer rally to 2000 and beyond. 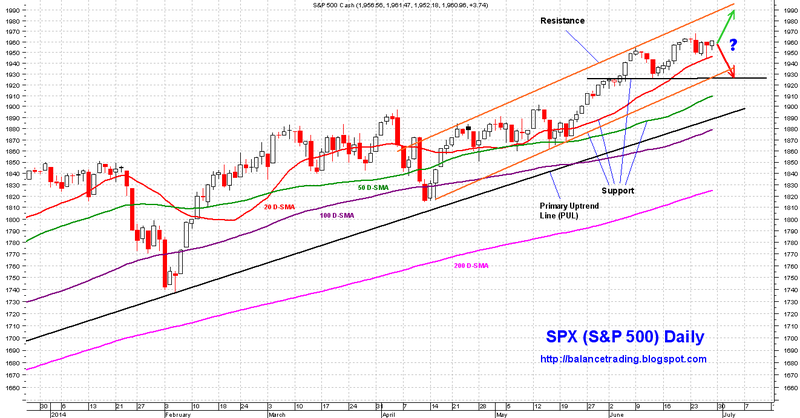 (B) Lower (20%): SPX sells off to test its AUL (orange) and support around mid 1920's. All last week, internals were remarkably strong and dips were bought aggressively.